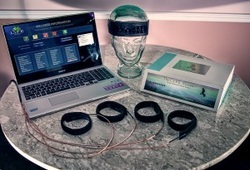 The Quantum Biofeedback System is a Universal Electrophysiological Biofeedback System for the detection of stress and reduction of stress, and the treatment of muscular re-education from injury, muscle weakness or dystonia, measurement of EEG Volume, skin resistance and changes during respiration through electrophysiological biofeedback. Successive generations of this system are in use as the Eclosion, the QMCI, the QXCI, the SCIO, the EPFX, the Eternale and the Indigo. Dr. Glen Swartwout is a contributor to the development of the original EPFX Eclosion system software, particularly in the eye and vision care section, used in these cutting edge instruments around the world by thousands of health practitioners. He worked with the inventor, Professor William Nelson, who at age 18 was working for a sub-contractor for NASA during the Apollo 13 incident and played a significant role in bringing the astronauts home safely. 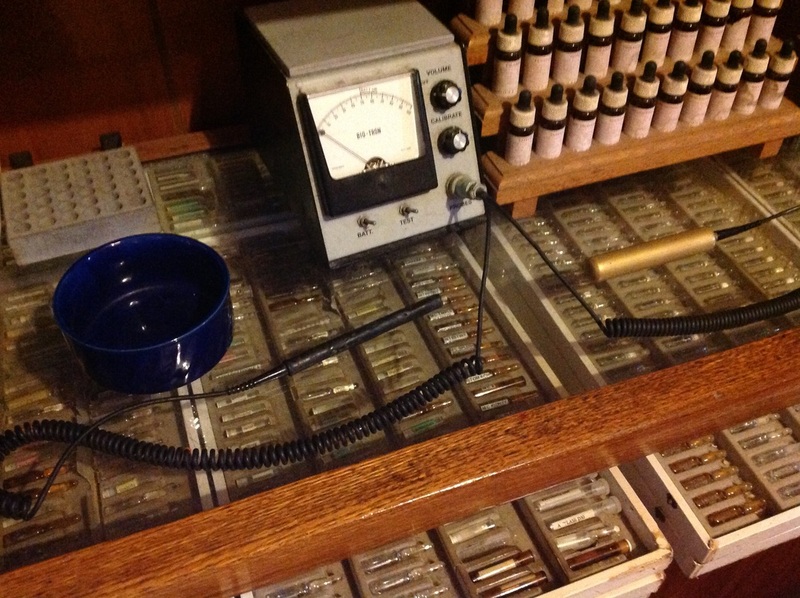 This kind of digital approach to information medicine has its roots in German Diagnostic Electroacupuncture. Dr. Rheinhold Voll developed the Dermatron instrument to assess the energetics of acupuncture points for quality control before and after classical acupuncture treatment. Dr. Voll began his career as a dental specialist. His clinical research into the inner workings of disease and healing led him to additional qualifications as an Acupuncturist, Homeopath and Medical Physician. In 1953, Dr. Voll discovered serendipitously that an energetically correct homeopathic medicine in the energy field of the body could temporarily affect the acupuncture point readings as if an acupuncture treatment had been performed. In 1988, Dr. Glen moved to Oregon from New York in order to further his studies in natural medicine. He had many clients back in New York who he checked in on during seasonal visits, when he would also offer practitioner certification trainings. He learned from other teachers in the field how they were developing a variety of systems for remote testing of distant patients. As he studied and applied these concepts, the results of remote testing proved just as accurate and effective as testing in person. The main difference was that some information was available remotely. Other information was available in person. It turned out to be a little bit like watching a movie and reading a book of the same story. Different modalities produce a slightly different picture of the same scene. One client called with an emergency situation where her son was in the midst of a crisis with a very high fever. It turned out that at the exact time that the boy was being assessed and balanced energetically, his fever broke and he was fine.